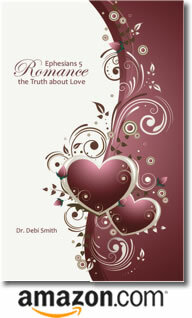 Posted by occhristiancounseling in classes, Dr. Debi Smith, Events, Q & A, understanding men. Men change after they’ve won the girl. One hypothesis is that once the chase is complete, they no longer have to work at winning her attention. The hunt is over. The prize is won. They get lazy. They turn into slugs. We have to ask if it’s actually true that all men change after they’ve won the girl. Evidence suggests this is clearly not the case! So are some guys just more romantic than others? Or is there something about the girl they’ve won who inspires them to continue the romance? Wouldn’t it be great if you could increase the likelihood that YOUR man won’t change into a slug? Join me on June 18th to find out how! Posted by occhristiancounseling in classes, Dr. Debi Smith, understanding men, understanding women. Women are notorious for selecting men with “potential.” For some reason, we’re drawn to a project rather than to a person. My guess is that it’s part of the curse that resulted from the first couple’s disobedience in the Garden of Eden. “I will make your pains in childbearing very severe; with painful labor you will give birth to children. Posted by occhristiancounseling in Dr. Debi Smith, understanding men, understanding women. You may have noticed that I haven’t blogged for a while. I’ve been busy regrouping. Regrouping can be a bad thing or a good thing. In my case, it’s a “God Thing.” My students at Biola University used to say that a lot, and as a professor, that phrase stuck in my mind. If we look at it academically, 2011 – 2012 has been a very interesting year for me. And as it draws to a close, I’m realizing that it’s been life-changing. In short, a dream I’ve had for decades is becoming a reality. And I’m looking forward to sharing My Dream Come True with you. Part of that dream has been to write a book about romance in real life, so that’s where I’ll start … by letting you in on the process I’m going through as an author. I hope you’ll join me on this exciting journey. See you soon! Other resources by Dr. Smith … For those of you who like a paper-and-ink book, I’ll soon be publishing Why Won’t He Talk to Me? The Simple Truth About Men and Intimate Communication. Until then, you may read it online or sign up for the free e-course to get it delivered to your mailbox.